By the end of my second year of studying at Cardiff University, my interests had shifted more to the ecology of marine ecosystems than geographical aspects and hydrographic surveying. This coupled with the infamous Welsh climate meant considered transferring elsewhere to complete my degree. My course director instead suggested I go away to complete ‘a year in industry’, rather than leave the program entirely. This consisted of a minimum of nine months spent in a career related to your field and yet still under the university’s supervision. 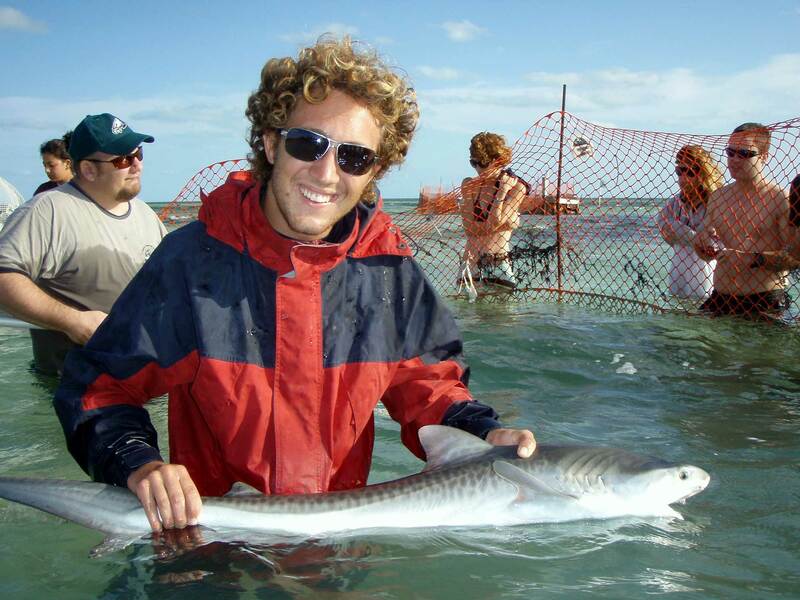 I applied to the Shark Lab because Steve Kessel, another Cardiff student, was out there already completing his PhD research. Unbeknown to me the lab was going through a management shake-up which meant that it took longer to respond to my application. The morning I received confirmation of acceptance I was due to sign a house rental contract for the following year as not hearing back I assumed I had been unsuccessful. Feeling terrible about reneging on the house and leaving my friends in a bind I almost didn’t take the Bimini position. My friends were however great about it and said I had to take the opportunity, and I haven’t looked back since! 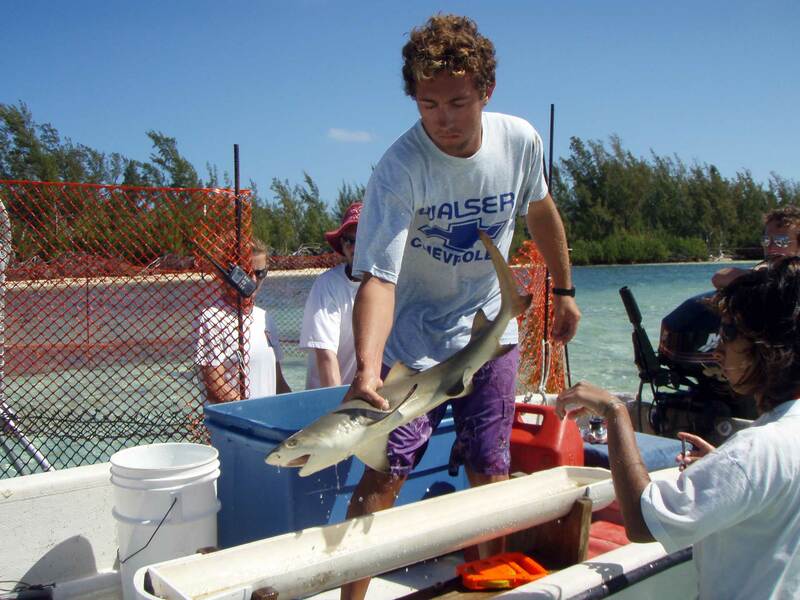 I arrived at the Shark Lab in June 2007 with the view of being Steve Kessel’s project student for my nine months. I loved it so much that, after extending my stay multiple times, I ended up leaving at the end of October 2008 after roughly 16 months! The stand out thing about Doc is how his passion for what he does is contagious. I remember thinking the first time I met him how inspirational it was that somebody his age could still be banging around on boats, baking in the sun and battling the bugs. I think today, just as it was fifty some years ago, his love and passion for sharks is what keeps him going and it serves as the best inspiration for those of us fortunate enough to work with him. Amongst the countless gems, two stories will always come to mind when I think about Doc. Doc wasn’t around for the first few weeks when I got to the lab so I was a little intimidated to finally meet Doc, a pioneer in the field I now I knew I wanted to follow as a career. I wanted to make a good first impression. One of the first times I met him we were put on a chase-down boat together during a film crew, anyone who has been through that knows it can be a testing situation! I remember thinking to myself just don’t do or say anything stupid. We putted out of the channel and were ready to get up on a plain when the accelerator makes this weird noise and cuts out. Much cursing and checking the engine is ‘peeing’ properly later, it is determined that the boat is fine but the throttle keeps trying to decelerate itself. Doc was not about to head back in as the clock was ticking so it was decided I would sit at the stern with Doc, he would steer and I would control the throttle. This led to Doc and I both holding the tiller simultaneously. We spent the next few hours bombing round the lagoon, essentially holding hands pretty much sat on each other’s laps, a great first date! The other story happened shortly after when I was still a little intimidated and wanting to make a good impression. We had just had a very close call with a cameraman landing on top of an adult lemon shark. He was shaken but escaped unharmed. The incident happened because the crew weren’t ready in time so Doc was pretty unimpressed. We hopped in the truck to head to Bimini Sands to sort it out. I went along to collect bait from the sportfishers. Halfway between the lab and Bimini Sands, the truck spluttered and died. No surprise there given the workload, salt and sand the vehicles are put under. Not being very mechanically minded but still wanting to impress I was given some very detailed instructions by Doc as to what to do. And he stressed that timing was critical or we wouldn’t be able to get the truck running again and we would have to walk back. I was tasked with spraying starter fluid into the carburetors at the precise moment that Doc turned the engine over. A pressure situation in many ways and had it not been a baking Bimini day I still would have been sweating profusely. We got to the moment of truth and Doc was ready to go. Despite Doc’s detailed instructions and me nodding along in comprehension, I panicked fearing I was way out of my depth. Doc shouted “are you ready?” To which I replied “yes Doc, just one thing….which one is the carburetor? !” Given the stressful day, the fact that I had implied that I knew what I was doing, and concern we had missed our window to get the truck running again I expected an earful. Instead Doc just cracked up laughing and replied “that’s my fault Mark, one of my biggest problems is I just assume everyone knows as much as me!” And we both continued to laugh, switched roles and got the truck started! The uniqueness of the Shark Lab means that almost everything you experience there becomes a memory you want to hang on to. Working in lagoon at night checking longlines, seeing my first great hammerhead, fighting bush fires and witnessing the Christmas time 2007 riots on North Bimini to name a few. The most exciting thing to me in research, is never really knowing what you will get. Bimini’s proximity to the Gulf Stream means that there is a very steep drop-off just of the west side to ~800m deep not far from shore. The need to produce large sharks for a film crew and a suggestion from Demian led to us deploying a vertical longline in hope of producing. Those familiar with deep-lines know that they are not particularly exciting until the moment of hauling and even then if you are skunked they are pretty dull and a lot of hard work hand-hauling gear from that deep. The day drew on and the sceptics in the group became more vocal. As the sun was setting it came to hauling the lines. A cinder block that deep can put up a fair bit of resistance, so it is not instantly apparent if you have caught something. Roughly 20mins of huffing and puffing and people speculating on whether they felt something on the end we got our answer. A yelp and the frantic whipping of hauled line back into the water ended the debate. It turned out to be, what to this day is still my biggest tiger shark (~3.7m), and she came smiling up at us from the depths. The tug-o-war went back and forth and by the time she was secured alongside and worked up it was night time. It came to releasing her and she required swimming along for a bit to get her tail moving again. I was allowed swim her off and it was the most surreal experience, moving out of the lights from the boat into the darkness alongside this giant. We quickly descended and I let her go and watched as she swam down into the pitch black. I will never forget that moment and am thankful to everyone that made it happen. My other favourite Shark Lab story also involves tiger sharks. We had continuous longlines deployed during a course to be able to show the students what they had come for. With all of the students we were stretched for personnel and only four of us checked the longlines, myself, Spanks, Duncan and a new volunteer. We pulled up to the longline and could see from a distance that there was a sizable shark hooked. Upon approach it was a pretty big tiger, I forget exactly how big. We got ready to tailrope, with a casual shake of the head the hook popped out of the shark and it was completely free right at the surface. The shark couldn’t have realized it was no longer hooked as it just floated there for a brief second. It was Duncan’s call that initiated the chaos. Tiger sharks are not flexible like lemons therefore it is possible to handle their tails somewhat safely. Duncan grabbed at the tail to prevent the shark swimming off. Now the shark knew something was up! It started thrashing around, Duncan shouting for the tail rope which I slid over the caudal and cinched down thinking that would be the end of the chaos. In my haste I had cinched the tail rope down over Duncan’s hand so he was attached to the shark. Meantime the thrashing shark had somehow managed to flick the gangion in the air which came down perfectly sticking through Spank’s shirt and just sticking into his chest. Throughout all the excitement, on my right is Duncan tail roped to the shark, and to my left is Spanks with a gangion hooked through his shirt not wanting to move for fear of setting the hook deeper. The poor new volunteer was on the bow completely unsure of what to do. We managed to rectify the situation, and once the shark was released, all cracked up laughing at how such a freak thing could have happened! 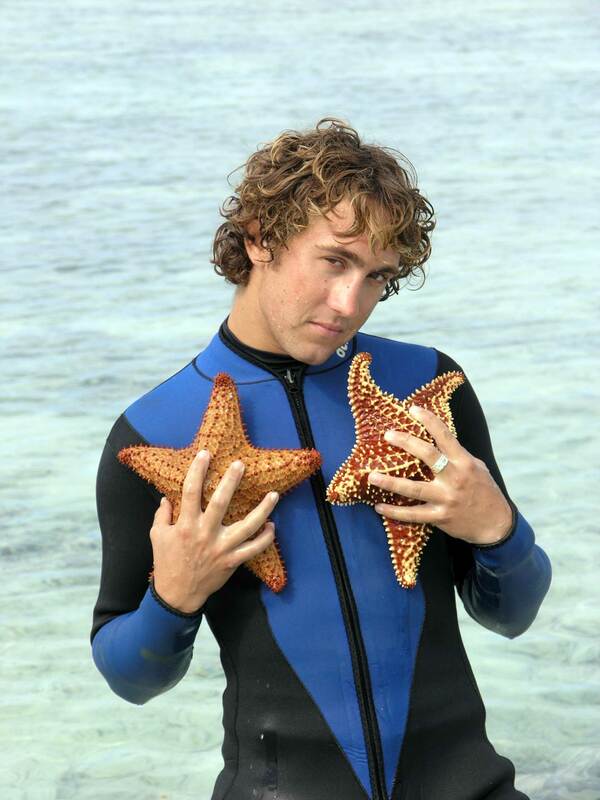 My experience at the Shark Lab and relationship with Doc undoubtedly changed my life forever and for the better. 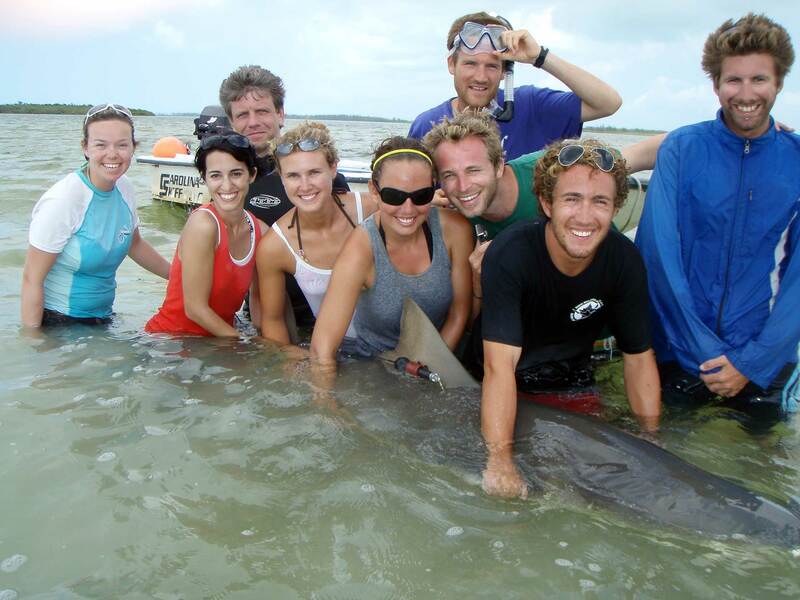 I left the lab with the skillset and motivation to conduct research that would contribute to shark conservation. Friendships cultivated at the lab have turned into productive working relationships which enabled me to study my doctorate in New York, under the supervision of Demian Chapman another shark lab alumni. An idea so far from reality when I was growing up in Kommetjie, Cape Town. The comradery of Shark Lab alumni, forged through the unique experiences we share in the field, have given me opportunities to travel to countries like Fiji, Panama, and Belize. 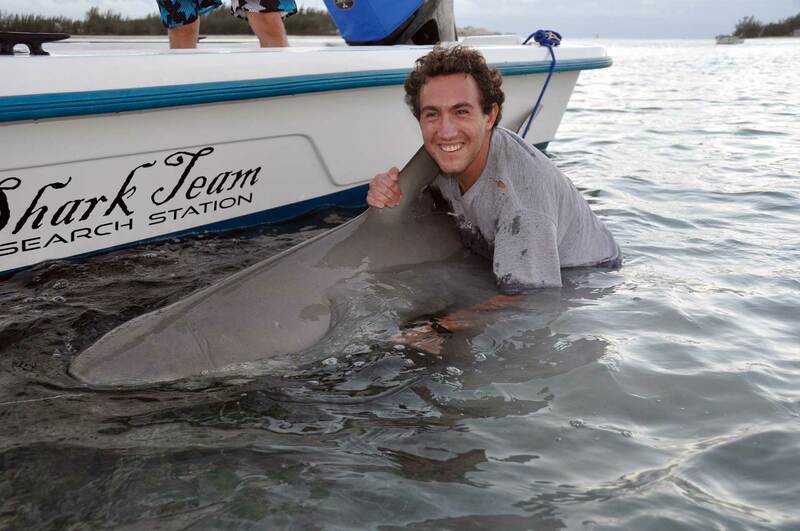 It allowed me to be a part of research which aids the conservation of highly threatened species like oceanic whitetip and great hammerhead sharks and the critically endangered small tooth sawfish, alongside Dean Grubbs another Bimini alumni. The opportunity provided by Doc and the lab enabled me to find a career I love and to pursue it, for which I’m indebted.